Home > 2015 > Campaign > Intermediate Results are in for Christmas Campaign! 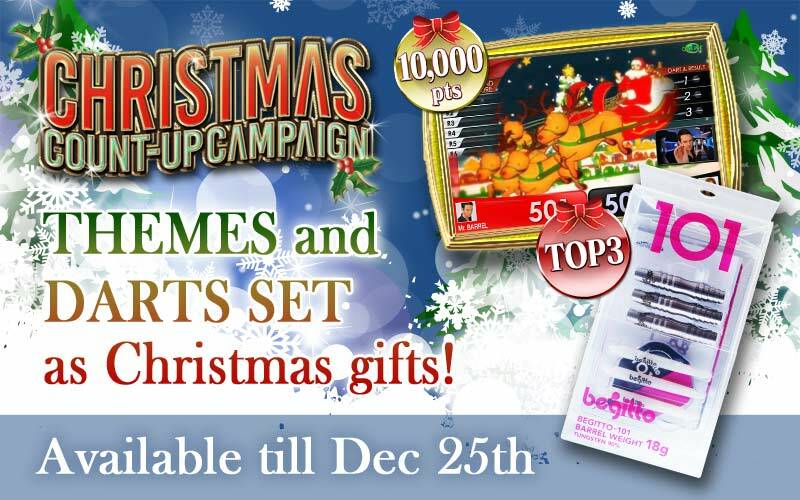 Updates for Christmas campaign player ranking! 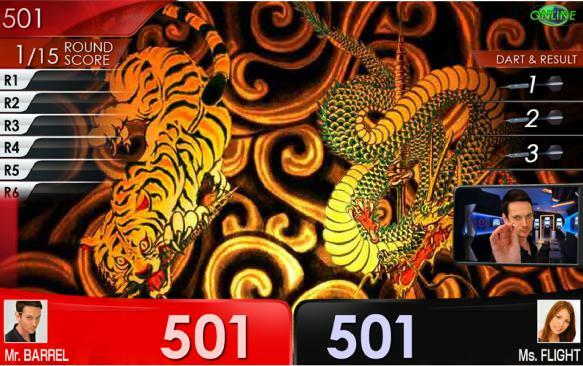 Check out the Top 10 players who played COUNT UP and accumulated the highest points in US!! Top 3 players will receive a darts set after this campaign! We also prepared other additional gifts for this campaign! 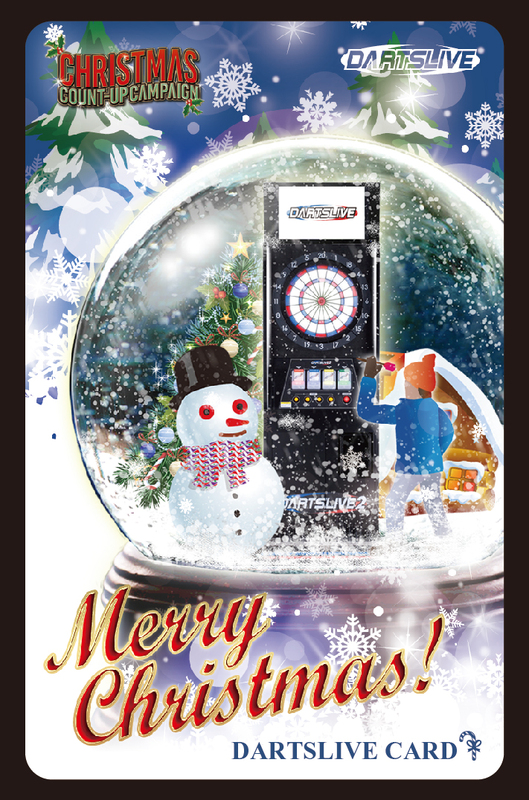 Players who ranked 12th, 25th and 125th will be rewarded with a special DARTSLIVE card! ※The points you accumulated will appear on "HOME SHOP" in CARD PAGE. 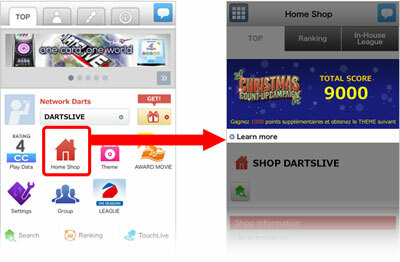 ①Accumulated points are counted only in the county or region of your home shop. ②When you leave the country or region of your home shop‚ or change the country or region of home shop‚ your points start from 0. If you return to the country or region of your original home shop‚ or return the home shop setting to the original one‚ points return to the original figure before the change. ③If more than 1 player accumulated the same points during the campaign period, the one who earned the score first will be rewarded with the X'mas present.